Liberal Bohemian: Similarities of the Missouri duck boat sinking and Donald Trump's presidency. Similarities of the Missouri duck boat sinking and Donald Trump's presidency. You are not going to like this, and if you are a lover of Trump's lies and egocentric look-at-me madness, you definitively won't. For, here at EstoericDaily.com (yes, one word), we know there are reasons to everything. Like that Cardinal that landed on my window seal this morning during my Zen meditation; it was a sign. Birds always are. Dead birds mean change, love birds mean, well, love, and black birds that flies into one's home, mean's death. These signs make no distinction about the circumstances of the event or the individual experiencing it, and should be noted: a sign is wholly unique to each individual and subject to personal examination and interpretation to gain a deeper understanding of its meaning. With his bright red color and powerful call, the cardinal tends to stand out from the crowd. There are times when it may be possible for a little red cardinal to get our attention when nothing else can, especially in times of depression and grief. So, I meditated on this past week, then looked at today's news, and it came to me. There is something very significant to the Missouri Boat Sinking this week and Donald Trump. 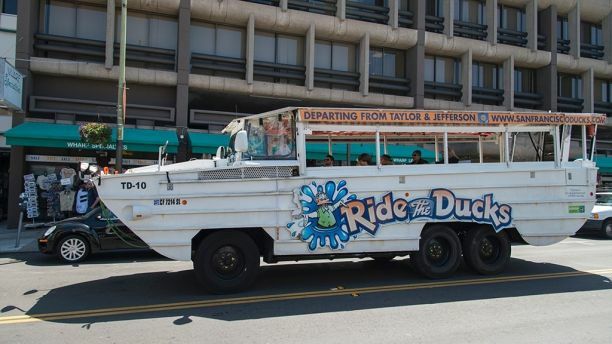 First, in Branson, Missouri, a tourist "duck" boat capsized killing nine people. It is devastating. Eyewitnesses watch the passengers, including children, get completely submerged by the waves. My heart goes out to these people and they are in my thoughts and meditations. This past week also was the week President Donald Trump met privately with Vladimir Putin and finally some of the Trump's faithful followers are seeing the evil-intentions of this man who has divided the world with Hitler type hate -- note, I didn't compare him to Hitler, just his rhetoric: calm down. 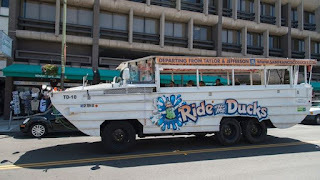 Before the duck boat went under, the passengers were told by the captain not to put on their life-preservers because everything was fine. And so the passengers did as their captain said, and nine died. Now, the number properties of "nine" tell us there is something spiritually happening here. Something I liken to a "watcher" or "angel" saying, "hey, look, there is something wrong here with the captain! 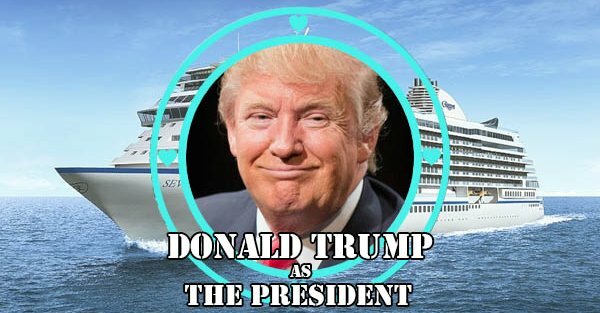 And that captain is Donald (D as in Duck), Trump (T as in boaT)." Just as the captain of that boat told everyone the boat wasn't sinking, and they knew better, I mean, look at the pictures, there is water in their laps! 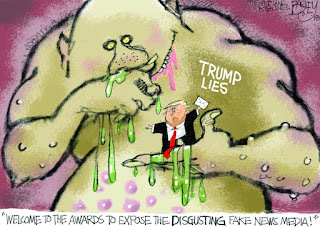 : the Republicans are telling us, not to reach for our life-vest because the country isn't sinking under the chaos of Trump with his lies and false claims of success are flowing over the minds of reasoning Americans like that water rushing over the shoulders of those poor passengers on a Missouri duck boat. 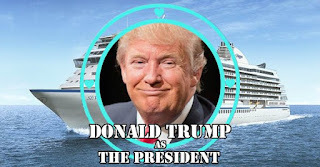 Now, I know you are asking: what does a boat accident in Branson Missouri have to do with the current leader of the free world -- come on, now I know you see the irony in Trump and Free World in the same sentence, you have to give me that! -- If there is one place in the USA where you can be comfortable being a liberal Democrat, it is on a sailboat in the San Francisco Bay, no doubt, on the other hand, if there is one place you can be comfortable in a Make-America-Great-Again hat... you guessed it: Branson Missouri. It'a as Republican as a tin building hosting an X rated video store with two trucks in the parking lot at 7 o'clock in the morning seen from you car driving down highway 357. 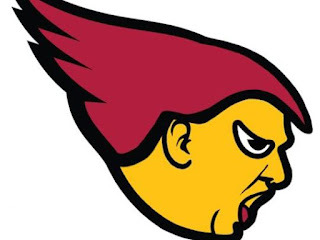 Oh, and the Cardinal thing, yeah, well, is there any other bird so Not Like Donald Trump? The Cardinal is honest, like a church Cardinal, strong, it holds itself with true pride, not ego pride, a bird that Whats-Your-Sign.com reminds us: ...makes a fantastic animal totem. It reminds us to hold ourselves with pride – not ego pride. Rather, the cardinal asks us to stand a little taller, be a bit more regal, step into our natural confidence as if we were born to lead with grace and nobility. Cardinal bumps Trump? Trump bobs head like a bird? While we usually think of a symbol as a visual form, much of the meaning can be found in the origins of the word that identifies that form. The history of the word cardinal sheds a lot of light on it’s symbolic meanings today. So, where did the roots of the word cardinal come from? And, how did the word cardinal come to define the bird? Interestingly, the base root of the word cardinal is actually connected to the word cross. It comes from the Old Norse word, kross and the Latin word, crux. For the ancient Romans, the Latin word crux, had come to mean “a guidepost that gives directions at a place where one road becomes two”. Today the root word cross is contained in many words we commonly use: across, crucial, crucify, cruise (to cross the sea, or go backwards and forwards), cruiser, crusade, crux, and excruciate. The cross is of course universally recognized as a Christian symbol, but the symbol of the cross was not used by Christian’s alone. The same symbol was also used by early Mexicans. It was one of the emblems of Quetzalcoatl, as lord of the four cardinal points, and the four winds that blow therefrom. In the cardinal sense, the cross represents fourfold systems: the four directions: north, south, east, and west; the four seasons; the four elements; the four winds; etc. In the thirteenth century, Dante attributed Cardinal Virtues of Justice, Prudence, Temperance and Fortitude, to the four brightest stars in the Southern Cross. This was done before the discovery and naming of the constellation (in 1679). As history reveals, the early explorers used the four cardinal directions in the form of a cross to discover the new world. Our world itself is constructed in the shape of a cross, whose four points correspond to the four cardinal points or intersections of the horizon with the meridian. So, how did the word cardinal come to define the bird? The word cardinal originates from the Latin word cardinali, meaning principal or chief. The chief Catholic priests from the Vatican in Rome are Cardinals, who wear ‘cardinal’ red cassocks. Cardinal is also a vivid red color. 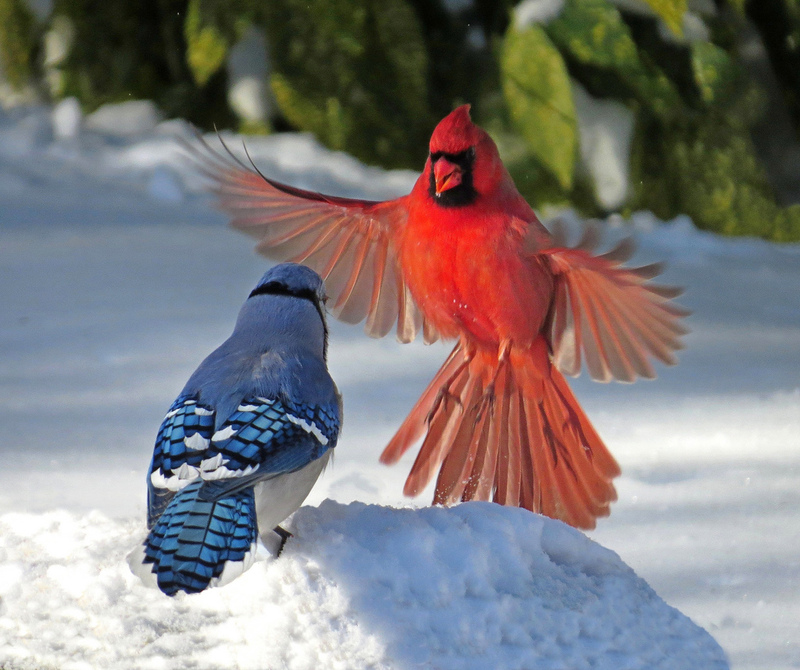 The family of birds, known as the Cardinalis, takes its name from the color of the cassocks worn by the cardinal priests. Now that we have seen where the symbols of the cross and the color come from, we can continue to the heart of the matter. Cardinal is also rooted in the heart, originating from the root word cardo, meaning heart. Cardo, also stems into the word cardinis, used for the hinge of a door, or a pivot; that on which something turns. In Latin, cardo means hinge or axis, something on which all else depends, as does the general meaning of the word crucial. What does a hinge have to do with a heart? A hinge (cardo) is literally the place on which a door swings and is always moved. It is so called after the term Greek kardia (heart), because as the heart (cor) governs and moves the whole person, just as this pivot governs and moves a door. The cross has four points, and the human heart has four chambers or closed spaces, two atria and two ventricles. In Latin cardium means heart. In Greek word for heart is kardia, which comes from the Indo-European root kerd meaning heart and that is as far back into the history of the word cardinal we were able to reach.